LOS ANGELES, Calif. /California Newswire/ — Johnny Chief Project is a band with both a mission and a message. The alternative rock band recently revealed they are at L.A.’s Clear Lake Recording Studios recording and putting together what will be the band’s debut EP “Talking to Myself.” The EP is being co-produced by the two core members of the band, Johnny Chief and Alex Medrano, and by Jose Miguel Smithers, the band’s current studio and touring drummer. 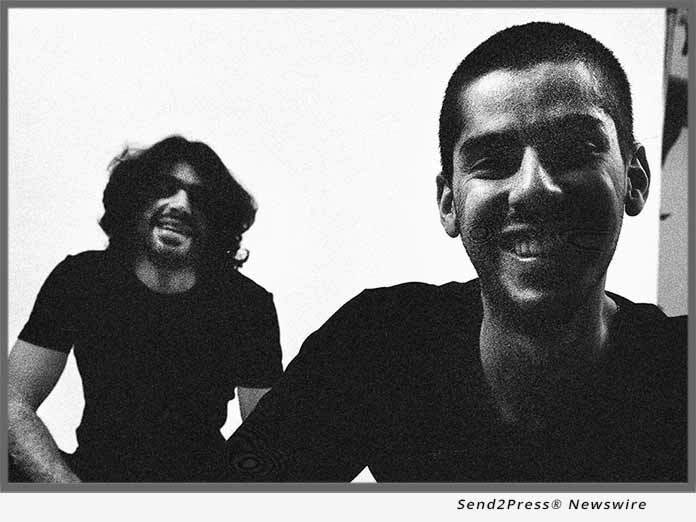 “We are giving our best from where we currently stand as musicians and engineers so that we can deliver a sound that enhances the lyrical content in a way that enables the listener to come in contact with the more honest and deeper parts of themselves,” commented Alex Medrano, lead guitarist of the band. According to lead vocalist Johnny Chief, the debut EP will be emphasizing the internal relationship one has with oneself and the search for finding inspiration to pursue living a harmonious life with one’s inner and outer reality. This fits in perfectly with the band’s stated purpose of using their creative force to start a movement that incites people to expand their consciousness based around great music, appreciation, and self-discovery. The debut EP “Talking to Myself” is a follow up to their current debut single “Ready to Die,” which can be found on YouTube, Spotify, and Apple Music. More good news concerning Johnny Chief Project is that the band is continuing to book as many gigs at colleges, universities, and music festivals as possible. Johnny Chief Project is a Los Angeles based alternative soft rock band with a set purpose: to use their creative force to start a movement that incites people to expand their consciousness by using tools such as self-discovery, pure love and genuine appreciation. The band is led by singer/songwriter Johnny Chief and electric guitar player Alex Medrano. Johnny Chief Project’s sound is a tailored combination of intricate acoustic riffs, spacey electric guitars, groovy bass lines, and rock and roll beats that produce quite elaborate but candid end-results. For more information, visit: https://www.johnnychiefproject.com/. Single, “Ready to Die” can be heard on Apple Music: https://itunes.apple.com/us/album/ready-to-die/1296784553?i=1296784556 and Spotify: https://open.spotify.com/album/2S3hdovqli43plnveYr8Jx.